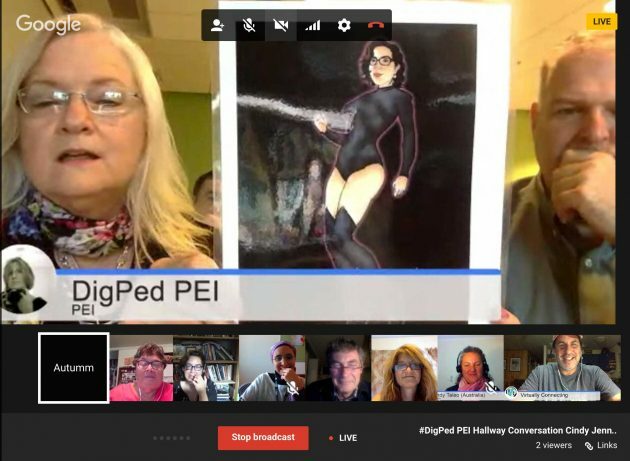 Less than a year ago I explained why I would wake up at 4AM for a Virtually Connecting session at ALT-C, the same reason applied in July 2016 for a session I hosted, one of several from the Digital Pedagogy Lab Institute PEI. It’s because of special people I know there and plus new special connections made in the act of connecting. It begats more of itself. So yes, I now have a wee hour alarm setting on my phone named Vconnecting (for the curios, the ring tone is a clip from T Rex’s Bang a Gong (Get It On)), and on the morning was set for 3:00AM for the Hallway Conversation with Cindy Jennings and Lawrie Phipps. Screen shot of the Virtually Connecting Session with Cindy Jennings and Lawrie Phipps. I did about 5 screen shots in the session, and in each one one of them had their eyes closed or a weird expression.. this one is actually a composite of two different screen captures. A reason on its own to be a part of this is a strong internal river of envy for those that got to go in person; not getting to the Canadian Maritimes on my almost trans Canada trip in 2011 is filed in the Huge Regrets folder. But the real draw was Cindy; one of many people I did visit and stay in their homes during that 15,000 mile trip around North America. An image (and photo of her) inspired a realization about this amplification of the connection made online by an experience of sitting in someone’s home, of meeting their family, pets, and really seeing them the surrounded by everything that is important to them as a person. Lawrie and I chatted at one point about how ‘familiar and comfortable’ it was to strike up a chat together – as if we were just carrying on a conversation we had been already having…and really that is precisely what happened – as we have ‘known’ each other online for years. Yes, you CAN in fact start, build, and sustain very real connections by digital means. I am thinking that artisanal change….is what I work for…and want to understand more deeply. Rather than ‘scalable’ macro change at ‘systems’ levels (the stuff our #digped keynote was about)… I see now that I work at the margins… in a quite artisanal way…. I have been wondering a lot lately about what happens in the individual teacher (I use that term to refer to any educator, whatever level their students might be) once they are sensitized to reflection as a part of their teaching practice. (I’m not sure that what we ground our local work in is full-on ‘critical pedagogy’, but I believe there are certainly aspects of it). It is my firm belief that nothing is as important as a teacher knowing him/herself first and then acknowledging the impact they have on students and the educational encounter. I think this self-awareness really comes before any design conversation, before any work to learn shiny technology tools, before exploring instructional strategies, before talking ‘content’ and assessment. It really must come first. All else blooms from this understanding. The most important tech tool you will ever have is the one you see when you look in the mirror. At the same time I know of Lawrie Phipps from mutual colleagues, passing blog comments, blog posts, (I did visit the Jisc office in Bristol once but am not sure we met there), but appreciate so much more his wit and insight from this conversational session, I would venture more so than from a presentation. Conversations in the hallways of conferences can be professional and personal at the same time; personal not in the sense of a sneak peak into someone’s private subconscious (though some people do reveal that), but personal more about getting to to know them as a person. The not so friendly time zone for me was much better for many other people, and this was one of the most world spanning ones I’ve been on. We had Autumm Caines and Susan Adams on site at PEI, Donna Lanclos (North Carolina), Patrice Torcivia (New York), Carol Yeager (also New York), Maha Bali (Egypt), Wendy Taleo (Australia), and Mark McGuire (New Zealand). It was a treat to get to speak to Donna for the first time (I know not to call her a “Librarian”!). I won’t do much of a summary, a lot of it was us hearing about the structure and highlights of the first day sessions, observations about reactions to the strong message of Audrey Watters opening keynote. It was a tremendous session, in my Early Morning Woke Up Opinion. But a personal highlight was saying hello to Carol Yeager, who showed up first. We started with some small talk about where we are, and Carol mentioned that she taught many years in Baltimore. “Oh, I grew up in Baltimore,” I said. And so, meeting a new person, we begin this spiral of connection. She taught for a while in Towson (north of Baltimore) and in Randallstown. Heck, I know Randallstown, I said, that’s near where I grew up. At that point you get to asking where you went to high school. As it turns out Carol attended, before me, the same high school Milford Mill High School (now an Academy). Carol mentioned one of Jon Waters movies shot at the nearby swim club (she guessed Hair Spray, but later research found it as Cry Baby). Carol also mentioned she taught at Sudbrook, the middle school across the street from my home, when it opened, that as a teacher she helped carry the desks inside. And just to top off the connections even more, in talking about where I live now, she mentioned she goes every year to the annual Tucson Gem and Mineral Show— I’ve not attended since I was a grad student at ASU, but I hope to maybe cross paths with her next February. All of this from joining the same Virtually Connecting session. Accidental connections are real gems. I also was a participant on an earlier session on Digital Storytelling that was conducted in the Digital Literacies track, led by Bonnie Stewart and Sean Michael Morris. Our onsite buddy again was Autumm Caines, and the virtual buddy/participants included hosts Apostolos Koutropoulos (AK) and guests Martha Burtis, Maha Bali, Mia Zamora, Helen DeWaard. Bonnie had asked us to talk to an audience likely new to digital storytelling. 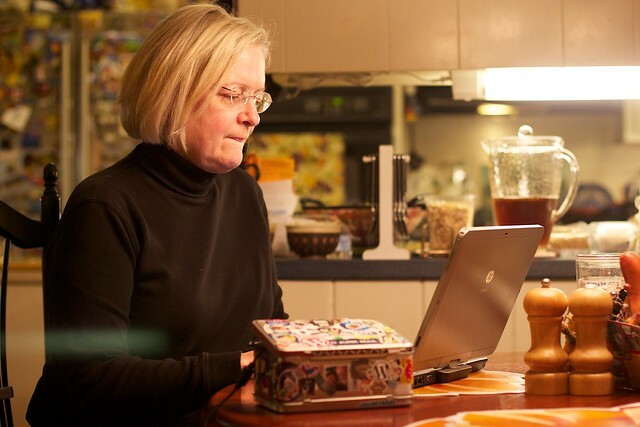 It’s always a rewarding experience to listen to Martha Burtis‘s perspective on most anything, but especially DS106. Jim Groom of course gets much attention for DS106, but Martha was part of this from the very start, teaching a UMW class that first year Jim taught it openly, and several times since then, plus she engineered the very first iteration of the DS106 Assignment Bank as well as the DS106 Inpsire site. This is not a definition I would widely share when I talk with students but it’s something I keep in the back of my mind as a way to understand when I teach ds106 and experience ds106 and how I hope students experience it. For me, the storytelling piece is less about traditional understandings and definitions about narrative and story, and very very very simply put, it’s about making meaning. I hold those two words in my head a lot when I am teaching DS106, that what I am doing is trying to help students make meaning. We did had some talk too about something I learned from the practice of people like Barbara Ganley and Jim Groom- that as teachers as much as possible to the same assignments along side them that you ask your students to do. On a design level, it helps you to better understand what you are asking them to do, but I also believe it levels out a bit of the elevated teacher position. All of us who spoke, Martha, myself, Mia, and Helen reiterated that our teaching of storytelling was not focused on the artifact of a digital story, but of the process of making it and reflecting on it. We had conversations about assessment of digital stories and the teacher load of giving feedback. When asked about examples, Maha sprung quickly into action opening a shared Google Doc that our participants filled in with examples of student created content from their course experience. An hour seemed to zoom by. Doing a Virtually Connecting within a session runs well, and while different in some aspects of hallway conversations, with a great group like we had it brings the value of unstructured conversations into a session conversation. It was a better than fantasy conversational, professional reassuring story happening… openly… in real time. And these are morsel memories more than a week old. If you want to be part of Virtually Connecting, the door is open and the welcome mat is out. Just do it. You will not be sorry at all, even if you choose to wake up at 3AM. Top / Featured Image: Screen shot from my iPhone alarm settings.. Please re-use this photo and feel welcome to make a million dollars off of it. 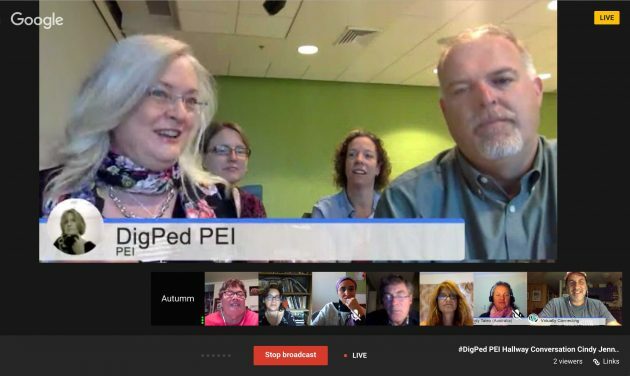 The post “Two #DigPed #Vconnecting Sessions in 19 Hours: aka Waking up in the Middle of the Night to Connect” was originally thawed from a previous ice age and melted at CogDogBlog (http://cogdogblog.com/2016/07/digped-vconnecting/) on July 24, 2016.